All Insight Asia Travel tours, river cruises, expedition cruises, and adventure trips. Find the best guided trips and expert planned vacation and holiday packages. 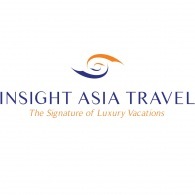 Average rating of 5.0 for all Insight Asia Travel trips. Explore Phu Quoc, enjoy the awesome Snorkeling, scuba diving and fishing are the most popular water sports and many more. Visit fabulous Ho Chi Minh city, the most dynamic one where everyone seems busy riding, buying, selling, studying. Visit Japanese Covered Bridge, Chinese Assembly Halls, Handicraft workshop and enjoy traditional arts performance. Explore Thien Canh Son Cave and watching fruits carving demonstration. Discover Hoi An, another World Heritage site in the Central Vietnam. Explore Ho Chi Minh city, the most dynamic one where everyone seems busy riding, buying, selling, studying. Visit the Thien Mu pagoda, one of the oldest and prettiest religious buildings in the country. Explore Ho Chi Minh city this is a city full of surprises. Explore Thoi Son islet, one of the four famous islets ( Dragon, Unicorn, Tortoise, Phoenix).